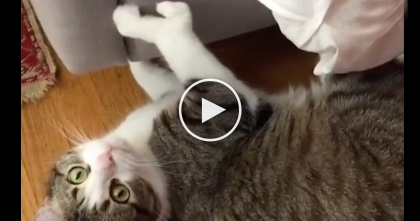 She put on a Lion documentary, but when this house cat noticed what was happening on TV, there was no stopping it from happening… This cat was SOO focused on the TV and wouldn’t take his eyes away for anything! 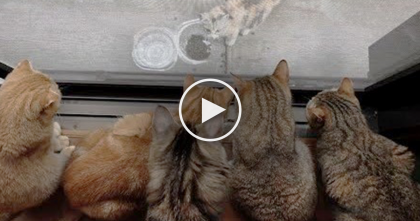 This funny cat is just riveted on watching his ancestors ‘big-cats’… Just take one look at this cats face and you can tell, he just LOVES watching!! 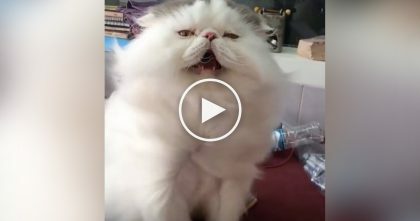 What a funny cat, I think he’s actually enjoying this TV show—SHARE this story with your friends!! Women has the ‘craziest’ relationship with lions, but when you watch her with them… I’m left in shock!